Meet & Greet on arrival at NJP Railway Station / IXB Airport and transfer to Phuentsholing – The Gateway of Bhutan by Road from India. It is a thriving commercial center on the northern edge of the Indian Plains. On arrival check in at the hotel.Overnight stay at Phuentsholing. After breakfast complete the immigration formalities and transfer to Thimphu (7,710 ft.) the capital city of Bhutan. On arrival check in at the hotel. 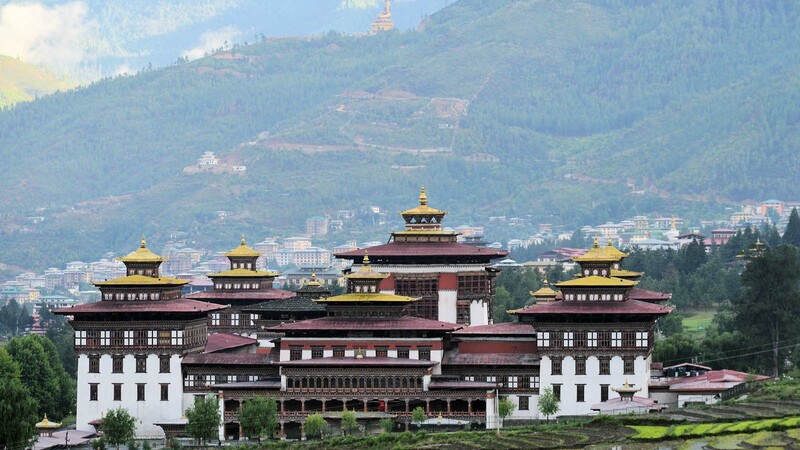 In the evening, visit the Tashichho Dzong (Fortress of the Glorious Religion). Overnight stay at Thimphu. After breakfast visit Kuensel Phodrang (Buddha Statue), National Memorial Chorten(Monument) & Folk Heritage Museum. Afternoon transfer to Punakha / Wangdue Phodrang (4,300 ft.), via Dochu-La-Pass (10,170 ft.) to view the higher Himalayas.The pass also has 108 Druk Wangyal Khangzang Chorten which is believed brings multi fold merit to all sentient beings and which make the pass a must visit place. On arrival check in at the hotel.Overnight stay at Punakha / Wangdue. After breakfast, start for full day excursion trip to Gangtey (9,840 ft.).Gangtey is the home of Black Necked Crane which migrates from the arid plains of Tibet in the north. 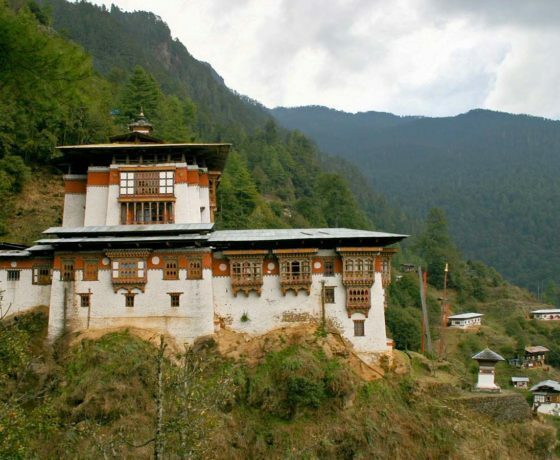 It is a beautiful valley of Bhutan. You can also visit GangteyGompha. Evening return back.Overnight stay at Punakha / Wangdue. 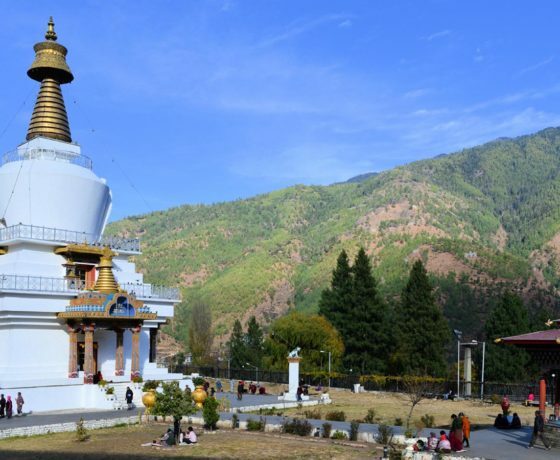 Alternatively, instead of going to Gangtey (Phobjikha), you also have an option spending the day in Punakha Valley itself. 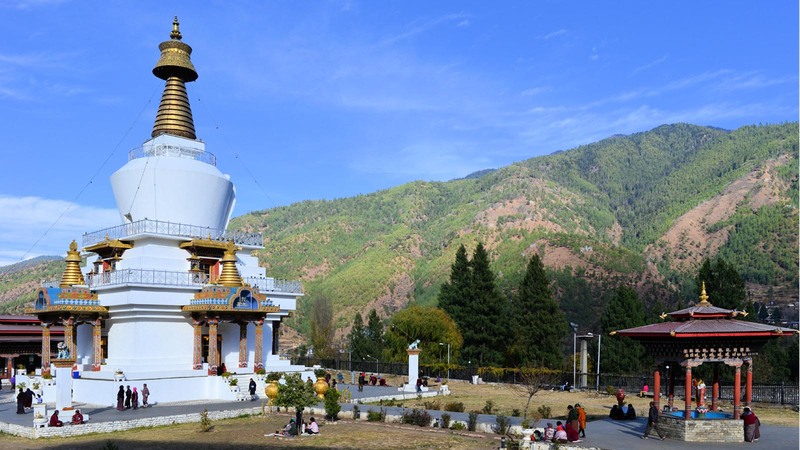 After breakfast hike Khamsum Yuelley Namgyal Chorten which is about 45 Mins easy hike to the top of the hill. 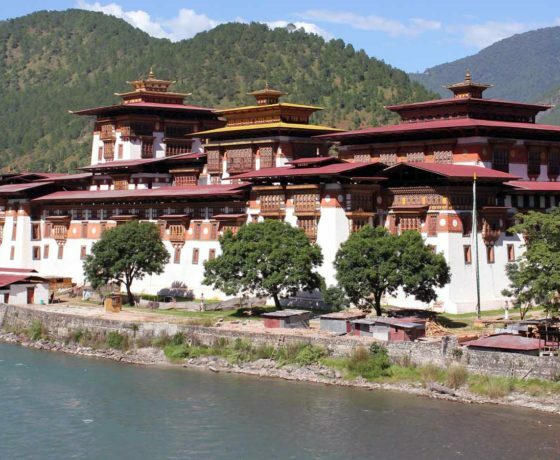 It offers a breathtaking view of the Punakha Valley. 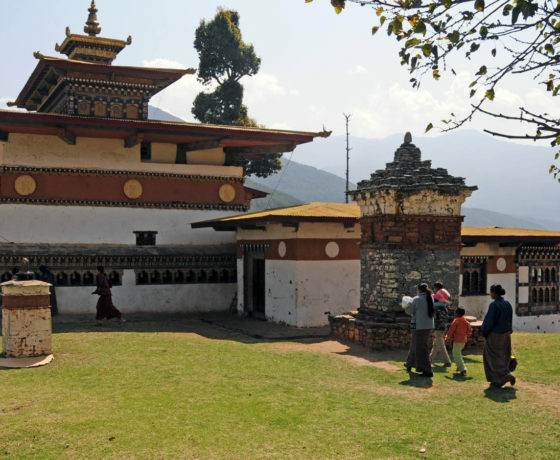 Also visit Punakha Suspension Bridge and Sangchhen Dorji Lhuendrup Nunnery. Rest of the day free for leisure.Overnight stay at Punakha / Wangdue. 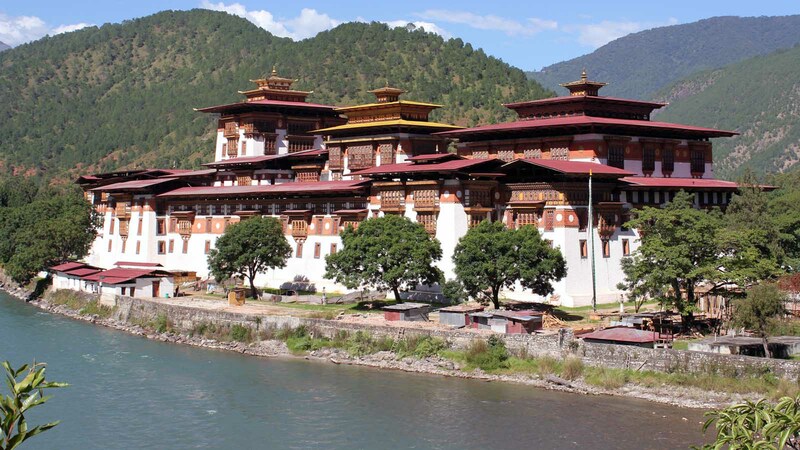 After breakfast check out from hotel with bag & baggage’s and visit the Punakha Dzong – built in 1637 by Zhabdrung Ngawang Namgyal. For many years until the time of the second king, it served as the seat of the Government. 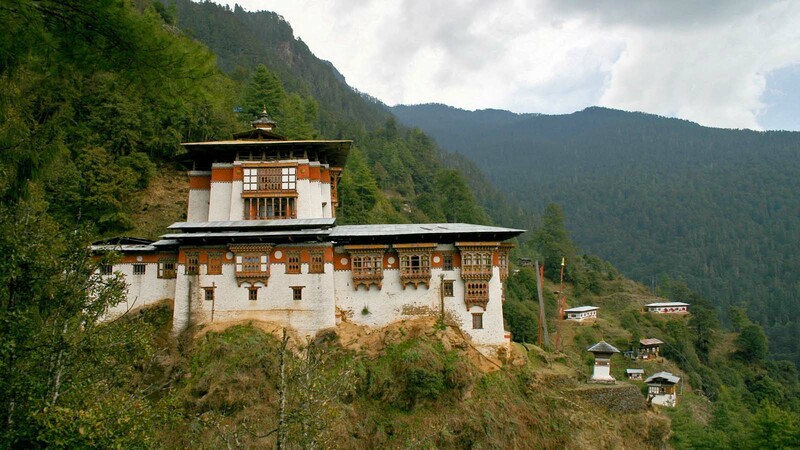 The Dzong was named Druk Pungthang Dechen Phodrang (Palace of Great Happiness). 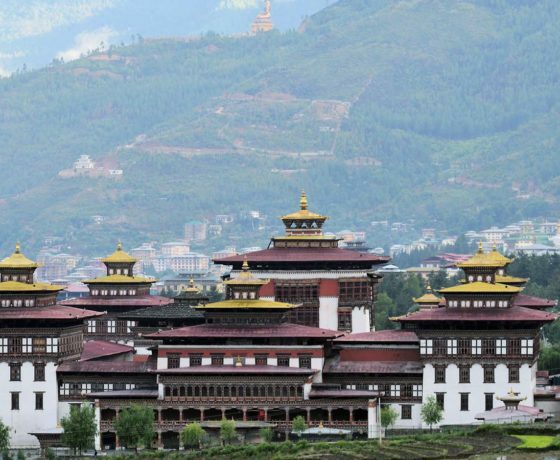 Punakha is still the winter residence of Je-Khenpo and King Jigme Dorji Wangchuck convened the first National Assembly here in 1952. 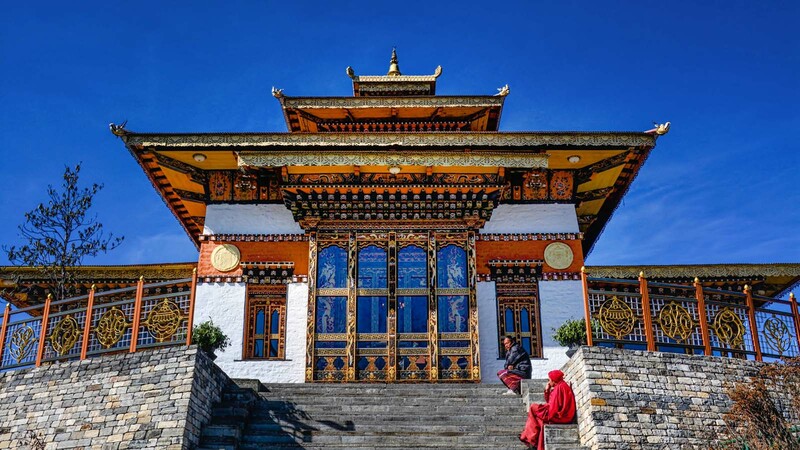 After that take a short and easy hike to visit the Chhimi Lhakhang – The Temple, also known as “The Temple of Fertility” was built by Lama Drukpa Kuenley, “The Devine Mad Man”. After noon drive to Paro. On arrival check in at the hotel. Evening is free for leisure. Overnight stay at Paro. 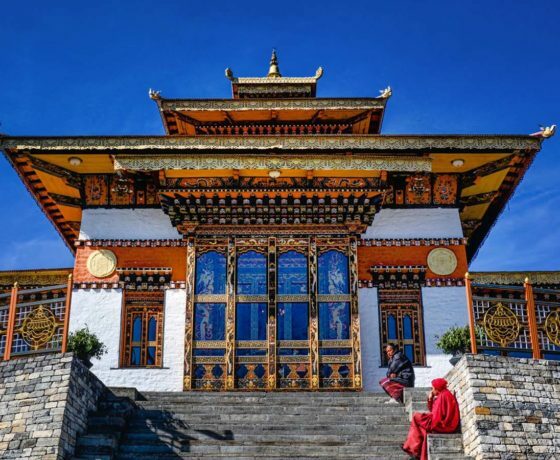 After breakfast start full day sightseeing covering Ta Dzong – National Museum with an excellent collection of Bhutanese antiquities, Rinpung Dzong – the administrative seat of the district of Paro. 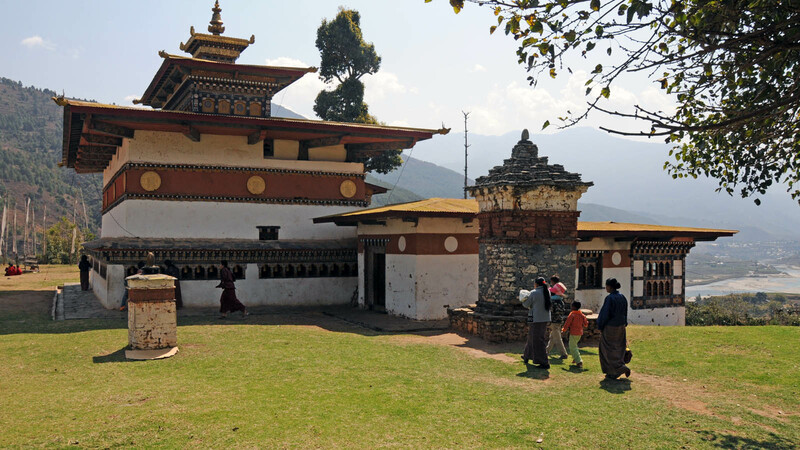 Afternoon visit Drukgyel Dzong– The Dzong was destroyed by fire in 1951 and is now preserved as heritage site & Kyichu Lhakhang-one of the oldest Buddhist temples in Bhutan. Overnight stay at Paro. After breakfast check out from hotel and transfer to Phuentsholing. On arrival check in at the hotel.Overnight stay at Phuentsholing. After breakfast check out from the hotel and take the departure transfer to NJP Railway Station / IXB Airport for your onward journey. Himalaya Visit is an out of box travel company. Your perfect travel partner in the Himalayas.